VisualWeather/U upgrades previous versions of VisualWeather to the latest version (3.x or higher). Because of significant changes made to the database structure, databases and reports created in VisualWeather version 1.x are not compatible with, nor will they import into, VisualWeather versions 2.0 or higher. VisualWeather/U upgrades previous versions of VisualWeather to the latest version. Visual Weather supports ET107, Toro T107, ET106, MetData1, or custom Campbell Scientific stations. Support for custom weather stations was added in version 2 (released September 2005), and support for the ET107 and Toro T107 was added in version 3.0 (released April 2009). What's new in VisualWeather 3.1? What is the difference between VisualWeather and VisualWeather/U? 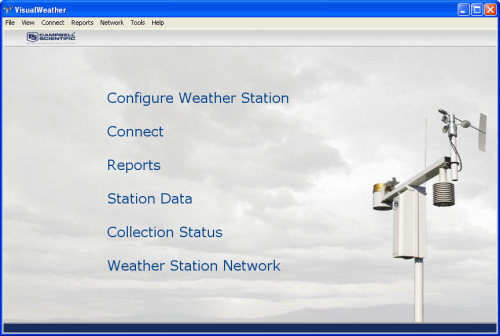 VisualWeather is the full version of the weather station software. 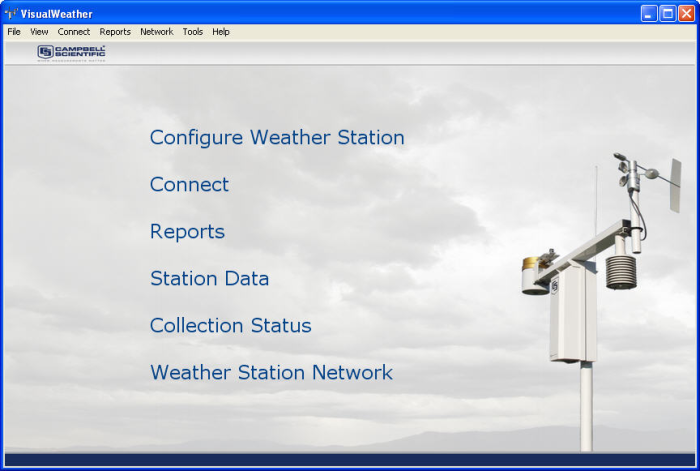 VisualWeather/U is an upgrade to the current version of the weather station software. This item is only available to customers who own an older version of VisualWeather.